Mark Stücklin of Spanish Property Insight offers professional investors, financial institutions, and developers a valuable service based on expertise, credibility, and unbeatable contacts in the Spanish property sector. He helps investors source and underwrite deals through a network of professional contacts built up over more than a decade all over Spain. His clients include some of the world´s biggest and best-known funds, whom he advises on strategy, deals, partners, and underwriting in Spain. He also helps banks, developers, and investors craft and implement effective sales and marketing programmes that deliver excellent results in international markets. 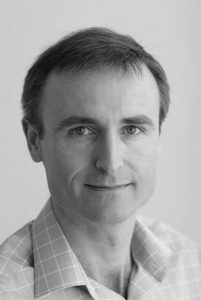 Focused on international demand for Spanish property, Mark has done strategic consultancy jobs for large institutions such as the SAREB (Spain’s so-called “Bad Bank), IRM (Banking consortium that took over Polaris World Assets), and GE Money (international mortgage market), amongst others. He has done all the marketing for the most successful developments in Ibiza over the last decade.